This summer, City Park Radio was proud to broadcast the WBBL and BBL games at UTAS Stadium and the Greater Northern League Cup Final. Preparations began back in June with Cricket Australia to broadcast the three Big Bash games in Launceston. After negotiations were complete we were excited about being given permission to broadcast all three games and to be part of the live stream on the Cricket Network. 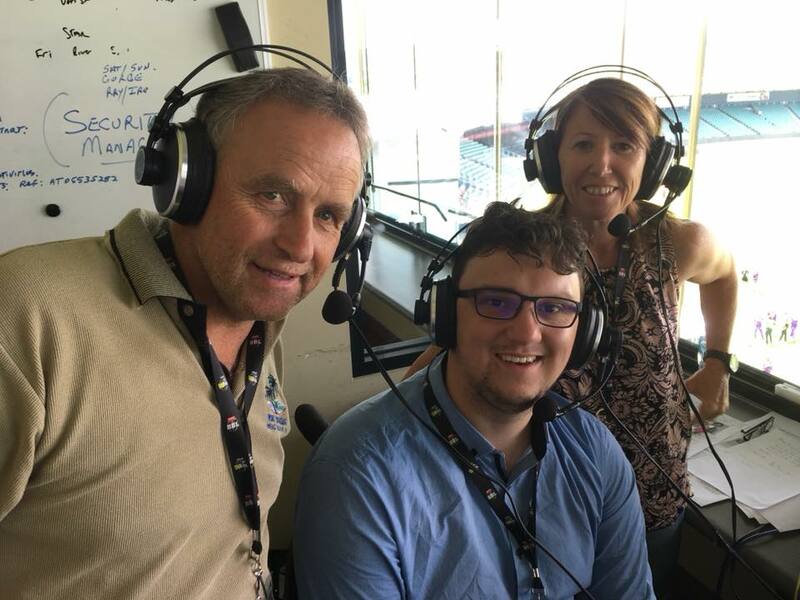 We were fortunate to be able to secure the services of Jill Couch and Dane Anderson as our expert commentators. Both Jill and Dane were fantastic due to their reading of the game and their vast experience in cricket at a high level. Also in commentary Dave Mohr and Matthew McGee our footy commentators, joined by Andrew Johnston and Quentin Von Stieglitz. We thank all those in our team for giving up their time to help make the two days such a success. The partnership with the Cricket Network resulted in our radio commentary being linked with the vision supplied by the Cricket Australia vision in their live stream. Highlights packages available on the web and TV news items also featured City Park Radio commentary. Despite the home teams not winning any of the three games it was a great experience being part of the CA live stream and certainly the crew from the Cricket Network were pleased with our product. This partnership was the first time a community radio station has joined forces with the Cricket Network and we look forward to continuing our collaboration in 2018. On January 14th, for the third consecutive year we broadcast the Greater Northern League Final on City Park Radio. This year we were at a new venue for CPR the famous and historic Latrobe Recreation Ground for the battle between Latrobe and Burnie. It was a great day out and certainly it was well supported on our online stream which struggled to meet the demand! Thanks to Craig Boon and Andrew Fitz who made the journey from Launceston and Rob Stewart from the Burnie Hurricanes for giving us his local insight into both teams! Sports broadcasts on City Park Radio continue to receive good feedback and with our winter coverage of the TSL and SEABL not far away we are always on the lookout for major sponsors. Please contact the station if you would like to support us as a sponsor of our sports coverage in 2018. Roy, Warnie and Calvin – collectively known as The Traders – are the AFL’s resident Fantasy experts. For the past three seasons, the boys have been presenting their Fantasy Hour live on Monday evenings on City Park Radio. Full of tips, fun and plenty of banter, the trio will help keep you in the know and entertained throughout the footy season. The Monday night program has returned for 2018 and is live every Monday night from 6pm. It is also available via iTunes podcast and was downloaded more than half a million times last season! Starting in late March, The Traders will be presenting AFL Fantasy Live – a program on Thursday evenings from 6pm covering the weekly team sheets and all of the pressing Fantasy questions for the upcoming round. It will once again be a huge season for our footy gurus! 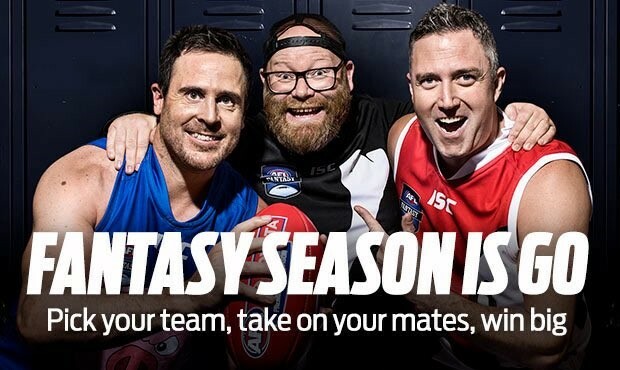 Play AFL Fantasy at http://fantasy.afl.com.au and take on The Traders and tens of thousands of other fans in the official Fantasy game of the AFL that could win you some epic prizes. City Park Radio will broadcast the service from the Longford Cenotaph for the National Servicemen’s Association. The National Servicemen’s Association of Australia was founded in 1987, to support the 287,000 young Australian men called up for compulsory training in two separate schemes (1951-1959, 1965-1972) for service in the Navy, Army and Air Force. Of them, 218 died and 1279 were wounded while on active service. 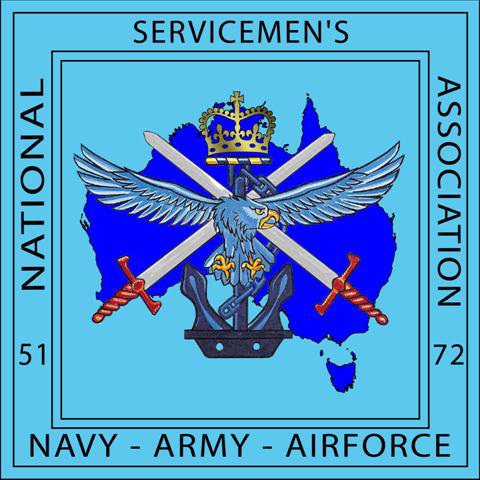 The Association has branches Australia-wide and is Australia’s second-largest ex-service organisation after the RSL. In Tasmania, the State Branch is supported by six Sub-Branches who are vibrant and enthusiastic in servicing the interests and needs of National Servicemen and who are actively involved in welfare, social and community activities. If you can not join them for the service, listen in at 10.45am. City Park Radio is organising an afternoon session of interview training for all presenters of “The Hot Seat” and other programs. Do you know what makes for a good interviewer? It can be easier than you think…. and what about what questions to ask and how to ask them. Here’s your chance to pick up a few extra tips…. When: Sunday, 25th February from 2pm til 4pm. What: How to conduct a good interview for radio, with tips on technique, formulating questions, keeping the conversation going, and making it interesting for the listener. Who: our trainer will be Hilary Burden, a freelance journalist, writer and broadcaster. More volunteers are required to show the public through the radio museum and studios. A few hours every week is desirable but once a fortnight or month is always welcome. Training is provided and whether you are a member or station volunteer with a few hours to spare—you are needed. See the friendly guides in the museum to sign up. …..or find out more at their unit meeting 15th February. 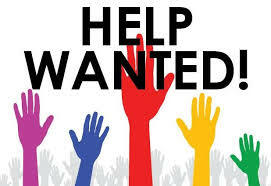 City Park Radio is looking for volunteers to take on these roles. Presenter Training Coordinator, – to organise and oversee the studio training of new volunteers wanting to be presenters. After the induction training, new volunteers need to learn the operation of the studios and eventually submit an assessment recording. Grant Writer—we need some people willing to write grant applications when various grants become available. From time to time, regular and special grants are available to apply for…. some big, some small – from $1000 to $100,000. With all grants, there is prescribed criteria, and all we need is a writer with the gift of writing to address the criteria. Most grant offers also offer guidelines to meet the criteria. Please let the President know if you are interested in any or all of these positions. Green Onions, the 1962 debut release for Booker T & the MG’s on Stax Records, was released in 1962 and proved to be a landmark album. The group was one of the first multi-racial acts to have any chart success – it comprised two African-American members: Booker T Jones on organ and other keyboards, and Al Jackson on drums … plus their white companions, Steve Cropper on guitar and Donald “Duck” Dunn on bass. Together they formed the template for the Memphis Soul Sound that was to establish itself in subsequent years. Green Onions contained only instrumentals, but there’s not a note of place anywhere on the record – it’s 35 minutes of the most exciting, innovative music ever released. The blend of Booker T’s distinctive organ sound and Cropper’s supple guitar, backed by Dunn’s solid bass and Jackson’s drum fills forms an irresistible force. There are no fancy overdubs or cluttered sound on Green Onions, but its basic, minimalist approach serves to highlight each member’s skills and makes each song stand alone as a fine, individual piece. 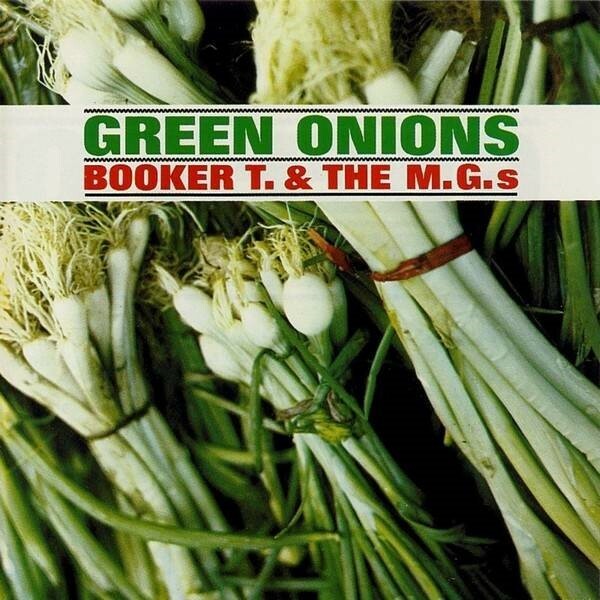 To see how Memphis Soul had its beginnings, serve yourself up a big helping of Green Onions! Eat drink and be merry ! More food wine and entertainment in City Park again this year .. 2-4 February … and the Festivale Committee says bigger and better this year. The streets around the City Park will be temporarily closed for a short period at the Commonwealth Games baton makes its journey around Launceston on February 7th.